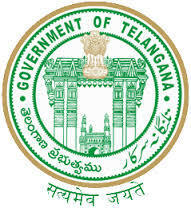 RECRUITMENT TO THE POST OF GYNAECOLOGIST / ANAESTHETIST / FEMALE STAFF NURSE ON CONTRACT BASIS TO WORK IN CEMONC CENTRES IN KHAMMAM DISTRICT UNDER CONTROL OF DIRECTOR PUBLIC HEALTH & FAMILY WELFARE TELANGANA STATE HYDERABAD.
. AGE : The minimum age is 18 years and the maximum age is 44 years. The minimum and maximum age shall be reckoned as on 01.07.2015 with the following relaxations allowed for reckoning the maximum age limit as per rules : i. For S.C’s, S.T’s & B.C’s 5 (Five ) years ii. For ex-service man 3 (Three) years in addition to the length of service in armed forces iii. Disabled persons 10 (Ten) years. Last Date of Receipt of filled application is 13.04.2016 upto 5 p.m. Date of closure of Notification on 13.04.2016 5 p.m in Khammam District Website.